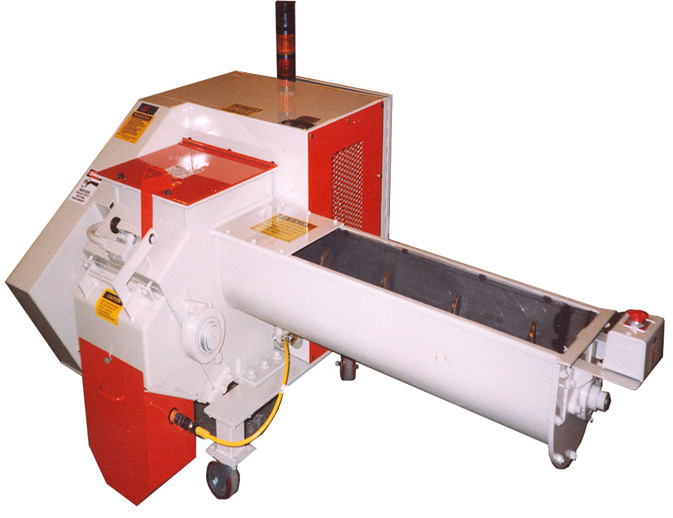 Basic specs of the 1012AM granulator include double scissor cutting action, positive feed/continuous operation, a compact design, cutting chamber cover, quiet operation (85 dbA), and OSHA safety standards. 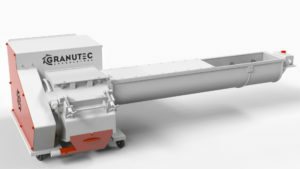 The 1012AM is the biggest of the Auger-Matic line of granulators. 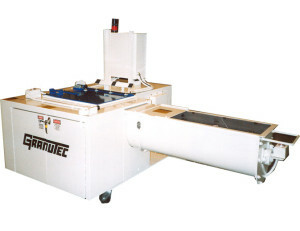 With a throughput of 350 lbs per hour, and the largest motor of the series, the 1012AM possesses the same high quality features as the other auger-matic models.As with all Auger-Matic models, the 1012AM features a low-profile design that enables placement directly under the molding machines in order to save space and directly catch materials to be granulated. 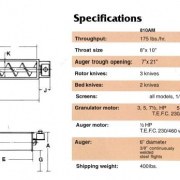 Granutec keeps safety in mind with a mechanically interlocked cover and screen, emergency buttons located on the auger trough, and OSHA electrical and safety standards, in order to prevent accidents. 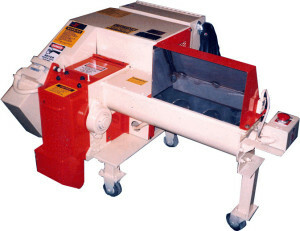 The 1012 AM grinder has rotor and bed knives made of D-2 hi carbon/hi steel for precise cutting action. With a wide range of accessories and customization features that can be executed for you the 1012AM is one of the best auger granulators available. Contact a representative today to learn more.